Subject: Vienna: Verlag der Gesellschaft fur vervielfaltigende Kunst. 4to: 54 pp. Original full cloth. Green cloth with bevelled edges, gilt decoration to the front board. Printed by K.K. Hof- und Staatsdruckerei, Wien. Condition: Good, given age. Some faint staining to the front and rear boards. Mild foxing on the plates. Front board edge bumped, spine ends lightly worn. 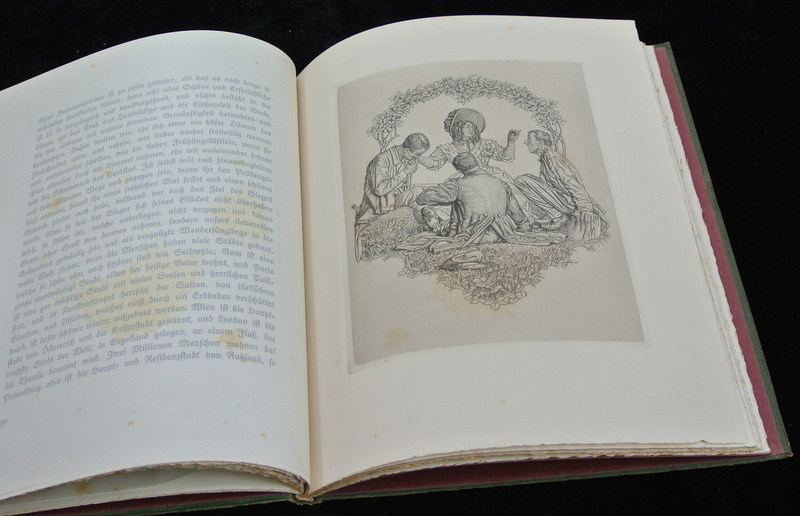 Size (in cm): 4to: 22.5 x 27.5 cm. 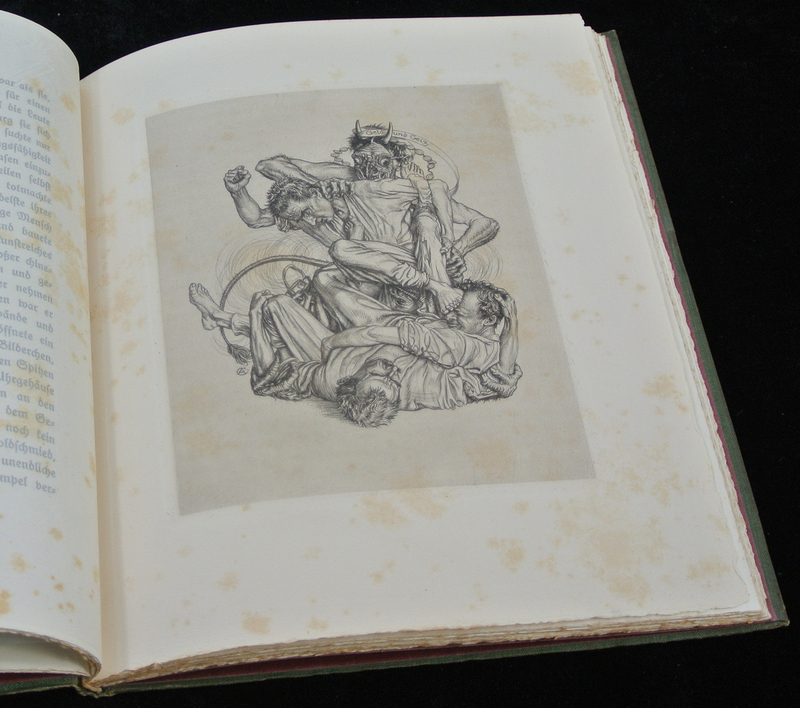 Size (in inch): 4to: 8.87 x 10.84 inch. 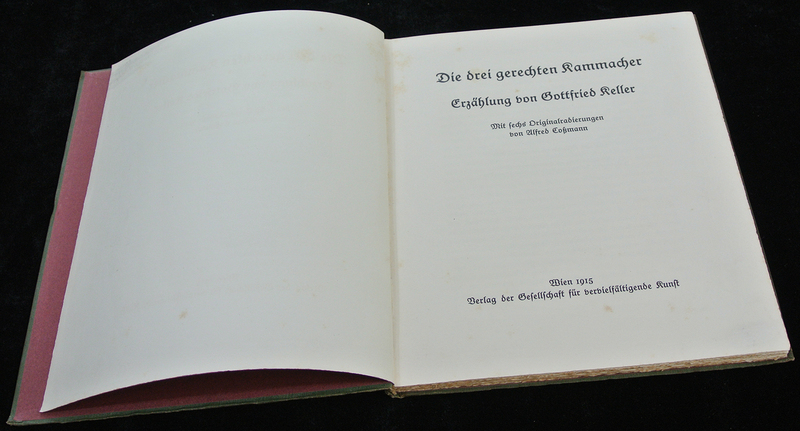 Antique Book, titled: 'Die drei gerechten Kammacher', by: Gottfried Keller. 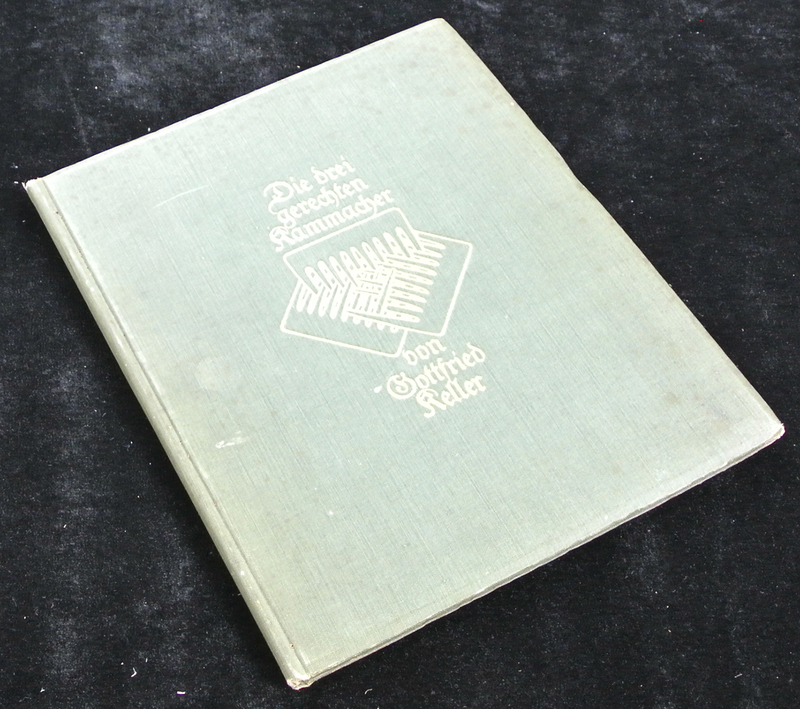 A novella by Gottfried Keller, originally part of Die Leute von Sedwyla. 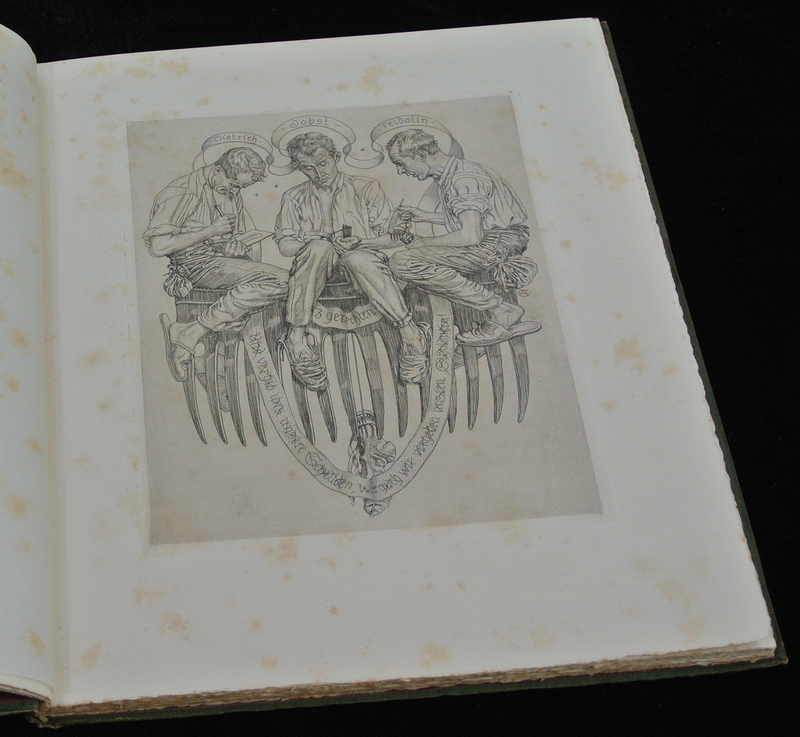 Artists and Engravers: Author(s): Gottfried Keller.